Introducing Jackalope hand drawn sans-serif font. Inspired by the outdoors and whimsical adventures. Comes with numbers and minimal glyphs. For personal use. File format: .otf,.ttf for Photoshop or other vector software. 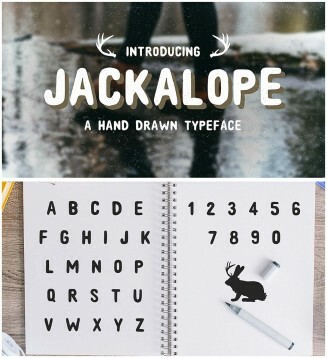 Tags: font, hand drawn, sans, serif, typeface, typography.